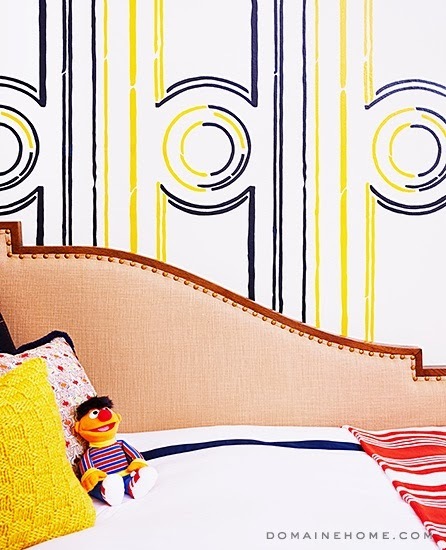 Mix and Chic: Bert and Ernie-inspired bedroom! 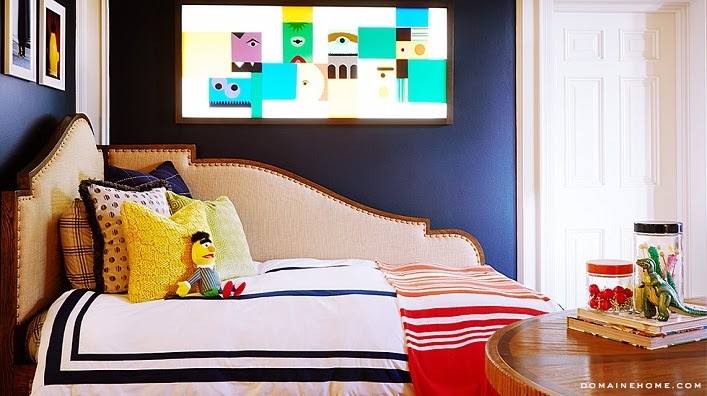 Inspired by legendary puppeteer Jim Henson and his two puppets, Bert and Ernie, high end furniture maker Eric Brand designs a children's room around the two characters for a show house event. 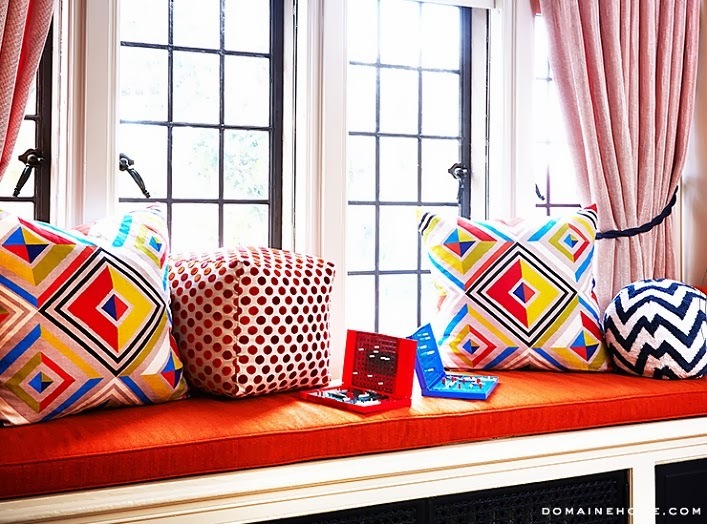 Let's check out the bright and playful room below! Isn't this children's room beautiful? 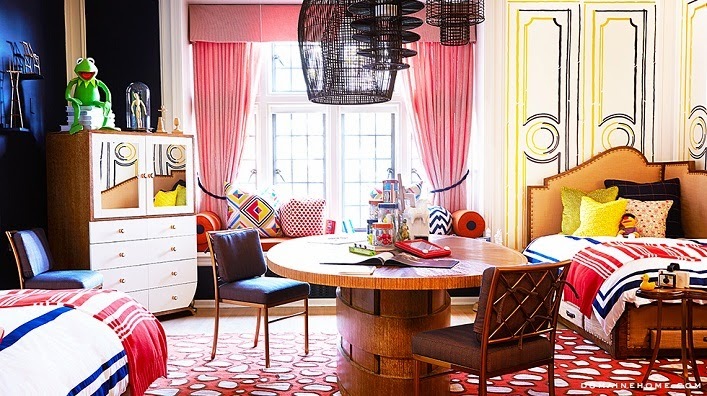 The combination of fine furniture, colorful cheery colors with unexpected whimsical elements evokes a fun, child-like room with a sophisticated vibe that feels truly refreshing! 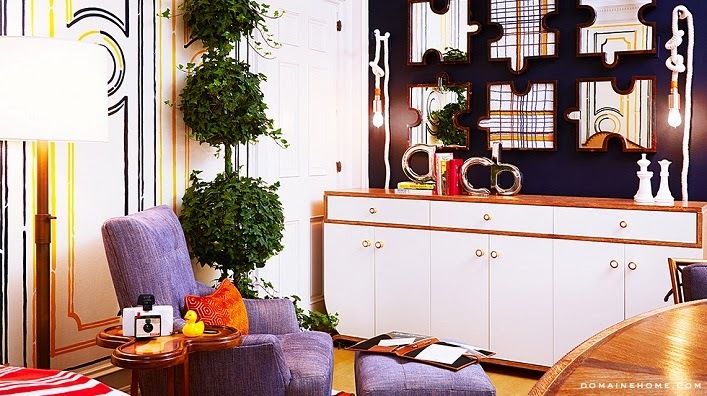 I love everything about this room especially the painted trompe-l’œil paneling. What about you? Thoughts? Adore the decorative painting - so clever!